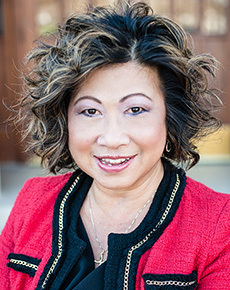 As Chief Information Officer (CIO), Loretta provides executive leadership to critical areas of the University, prioritizes IT investments in collaboration with key constituencies, and leads the GW IT organization in the execution of strategic initiatives that are aligned with and advance the University’s strategic plan and goals. Loretta oversees the portfolio of technology projects, all IT policies, contracts, vendor relationships, and the annual operating and capital budgets. She strengthens the University by managing the five-year financial plan, achieving operational stability and service excellence, creating a data-driven culture, and managing and reducing risks to the organization and the university. Her strong leadership, communication skills, and technical expertise enable her to promote purposeful campus partnerships that can build a foundation of trust and transform the university’s IT culture through innovation and collaboration. Loretta joins GW after serving as the Vice President and Chief Information Officer at The University of Oklahoma (OU) since 2011. She joined OU in 2000 as an Associate Vice President for Information Technology, and served as a member of the President's Cabinet, as well as campus policy and advisory groups, and industry, government, state, regional, and national consortiums. Before her appointment at OU, Loretta served at The College of William and Mary for twelve years in several leadership positions, ultimately rising to the position of CIO. During this time Loretta also served as an adjunct faculty member. She has more than twenty-five years of progressive leadership experience in information technology organizations, including over twenty-two years in public sector higher education. Her service to information technology in higher education includes appointments on numerous advisory boards, institutes, and professional organizations, including serving as the EDUCAUSE Annual 2013 Program Committee Chair and a grant reviewer for the National Science Foundation. Prior to her higher education service, Loretta was a small business owner and consulted for a variety of national corporations in private industries, including financial and medical services, technology services, food services, and construction management. Loretta is an alumna of the University of Virginia.